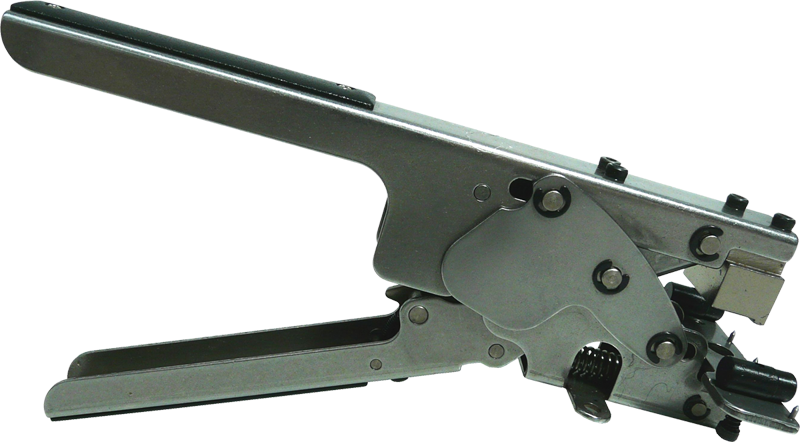 AdoptSMT SPL-C/4000MST-A 20-fold Multi Splice Clip Magazine. 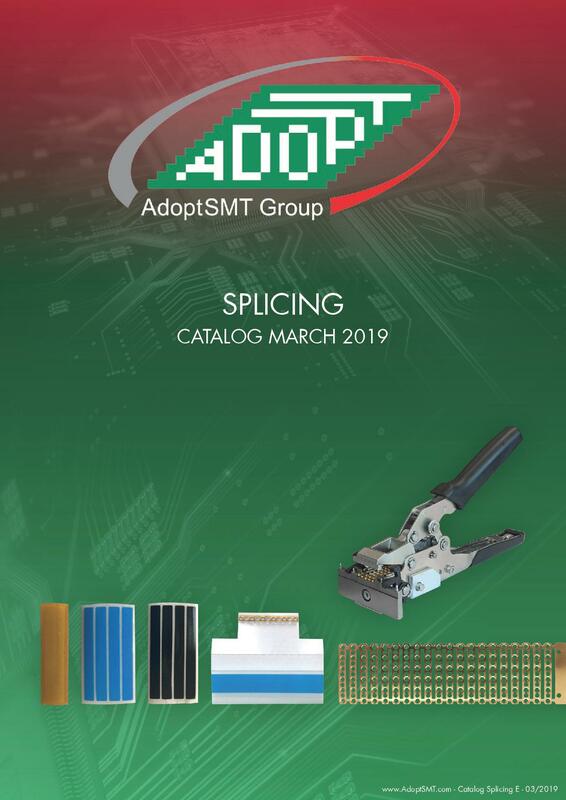 The single splice clips of the AdoptSMT SPL-C/4000MST-A 20-fold Multi Splice Clip Magazine are joined by two small strips which are cut during splicing. There is no risk of injury from scrap pieces of material sticking out of the splice tool. 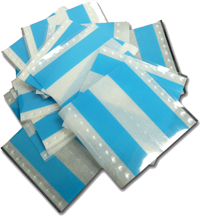 Adopt SMT Premium Splice Stickers, also for SIPLACE, to connect SMD tapes. 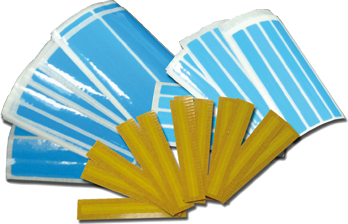 All stickers work with both paper and plastic tapes, have excellent adhesive characteristics. 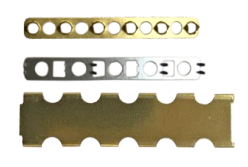 Metal Splice Clips to connect all types of SMD and Universal Axial THT component belts. 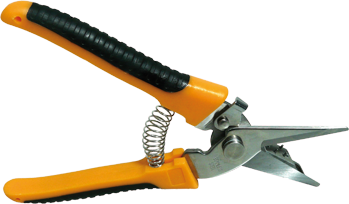 Work with prevalent splicing pliers. Adopt SMT Premium "Clip and Splice": The innovative Clip and Splice tape combines splicing clips and stickersinto one product. Easy to use with all kinds of SMD tapes. The most economical solution in splicing. 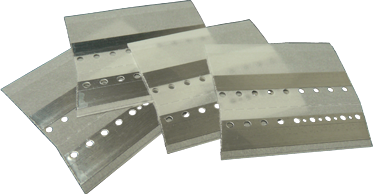 Double Splice Tapes do not require any additional tools to be used. The most economical solution in splicing is now also available for Fuji. AdoptSMT Double Splice Tapes do not require any additional tools to be used and provide 100% compatibility to Fuji splice detection as used on NXT, NXTII and AIMEX systems. 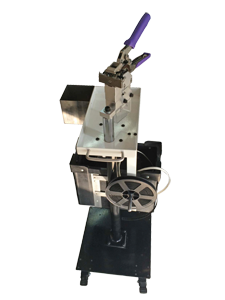 AdoptSMT Double Splice Tapes for Panasonic do not require any additional tools to be used and provide 100% compatibility to Panasonic splice detection as used on Panasonic CM and NPM series machines. Splicing plier to connect SMD tapes with splice clips. Location pins on the plier assure easy handling and precise connection of SMD tapes. Scissors for cutting 8 mm SMD tapes. 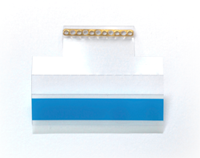 Two rows of location pins assure easy handling and precise tape cutting without damaging components. Scissors for cutting 8-56 mm SMD belts. 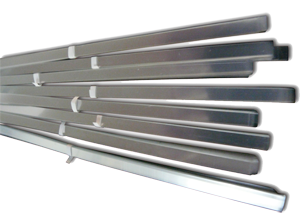 Splice Cart incl. storage boxes for splice accessories, W x D x H 325mm x 325mm x (900-1003)mm, weight 12,28 kg, ESD wheels. Without SPL-P-MST-A plier. 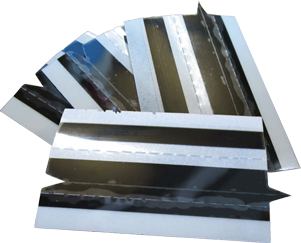 Adhesive AdoptSMT Premium strips to extend SMD belt cover foils. Also compatible to SIPLACE tape threaders. Length 40 cm.